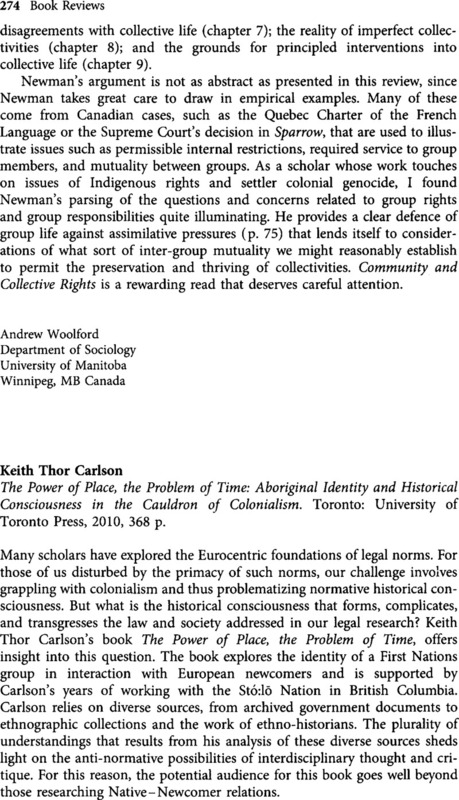 Keith Thor Carlson, The Power of Place, the Problem of Time: Aboriginal Identity and Historical Consciousness in the Cauldron of Colonialism. Toronto: University of Toronto Press, 2010, 368 p.
1 Nancy, Jean-Luc, The Inoperative Community, ed. Connor, Peter, trans. Connor, Peter, Garbus, L., Holland, M., and Sawhney, S. (Minneapolis: University of Minnesota Press, 1991).